Do you have a favorite picture in your life that has special meaning for you? It could be a loved one, baby picture, favorite pet, wedding photo or even high school band that has this special meaning. If so, we can turn that normal image into an exciting, compelling and unique 3D photo that will delight your friends and family. You send us a digital file of your favorite photo (or even painting) in color or black and white over the internet. Your valuable original doesn't leave your possession. In case you can't make a digital copy of your original, you can send it to us through the mail and we can scan it and then return it with your 3D print. We then convert your image into 3D. This is done with exacting methods by hand taking many hours of work. There is no automatic method to do a good 3D conversion. 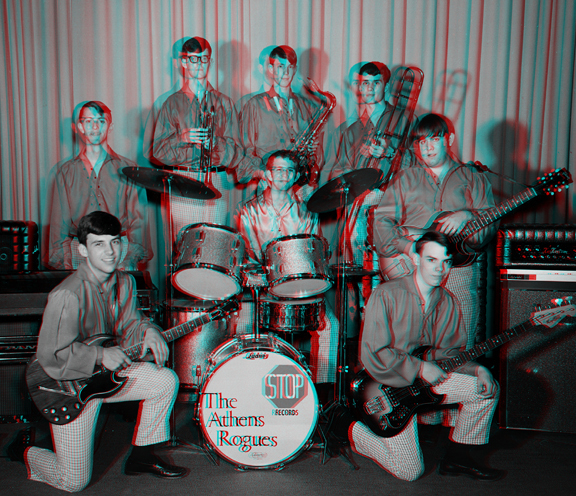 After the conversion is finished we send the 3D file back to you on a CD along with a pair of anaglyph (red/blue) glasses to see the 3D effect. The CD also has the converted left and right image. We send the full resolution files back to you so that you can make as many copies as you wish. We also can make no glasses 3D lenticulars of most images as well. The cost depends on the complexity of the original image. Contact us for more information. When ordering a 2D to 3D conversion extra glasses are available for $0.90 each.